Krob landscaping in Fairhope, AL is who you want for your next landscaping project. Whether you are looking to transfer your home exterior landscape or liven up your commercial space, we at Krob Landscaping can create the outdoor paradise you are looking for. We at Krob Landscaping specialize in Landscape Design, Landscape Maintenance and Landscape Installation throughout Fairhope, AL. We are also experts in sod preparation, rock and boulder layout and installations, fertilization, seasonal colors, tree removal and Landscape renovation. No job is too small or too big. 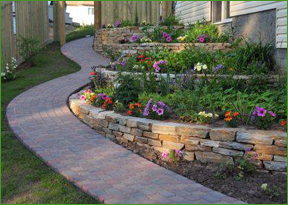 If you are looking for specialty landscape design our experienced team of landscapers can draw up plans for your review. We at Krob Landscape pride ourselves on our creativity and know we will make your outdoor dreams come true. Krob landscaping employs only the most skilled and experienced landscapers in the industry. We use the most up-to-date equipment so your project is completed correctly and on-time. Call us today or go to our website, to review our project photos. Get ideas from what we have created for others or give us a challenge for something new. We want to make your “grassy knoll” a foliage oasis that you can enjoy for years to come.